It is said that Lord Shiva sat in open-eyed meditation for 1000 years. When he finally blinked, the tears that streamed from his eyes became Rudraksha seeds (rud means tears). These sacred seeds take 25 years to mature. They are used in Shiva mantras, as well as Ganesh and Bhairava, but anything recited with them will be enhanced. Also reputed to help blood pressure problems. Authentic Rudraksha beads have been found to boost confidence and inner strength and to help with a wide range of mental and physical problems. Buddha wore them, Gandhi wore them, and the Dalai Lama wears them. So did Yehudi Menuhin and Osho Rajneesh. 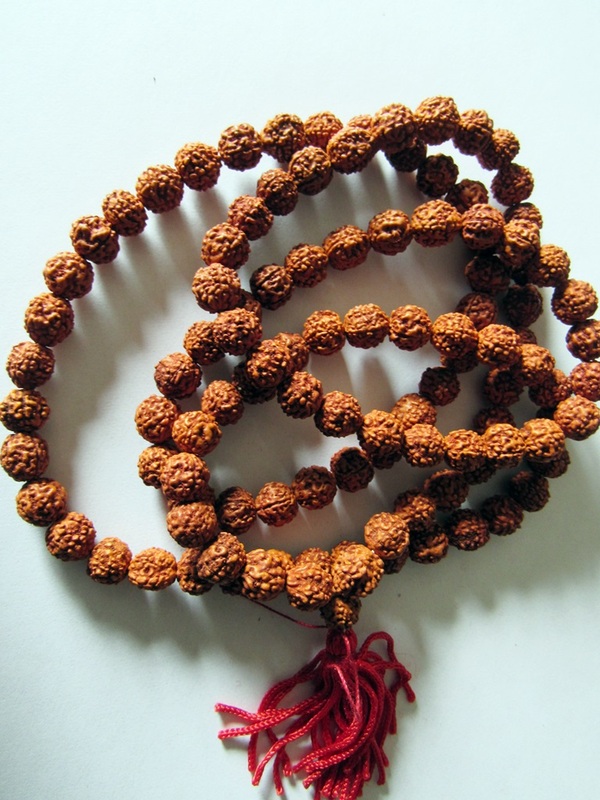 Rudraksha beads have been worn by Asian yogis and monks because of their interaction with body and mind to foster the tranquility and concentration necessary during extended periods of meditation. Modern medical research has proven that Rudraksha beads have electro-magnetic properties that have a beneficial influence on the cardiovascular and central nervous systems.